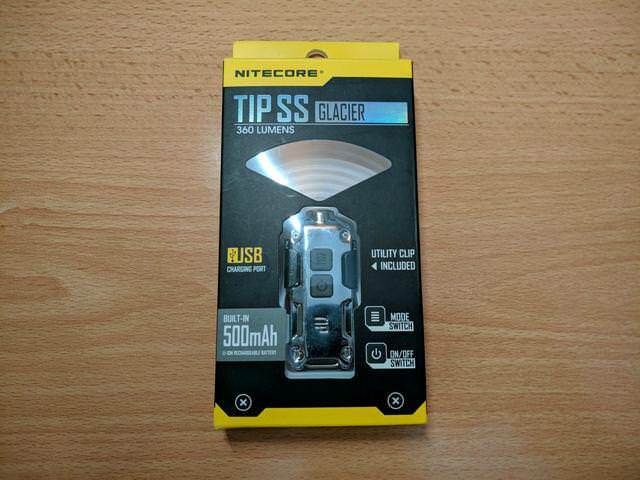 [Review] Nitecore TIP SS Silver ( XP-G2 S3, 360 Lumen) ~ Now used as standalone! 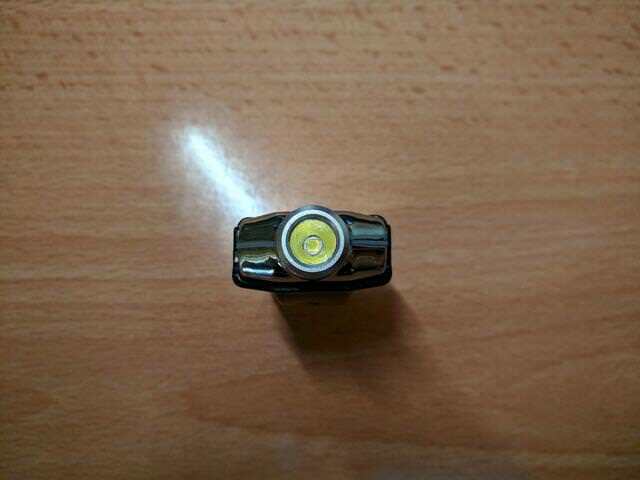 The flashlight was sent to me by Fasttech for review. 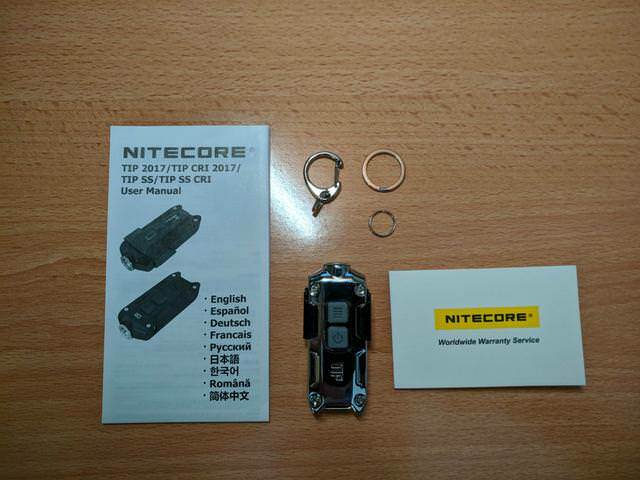 The flashlight comes in a typical Nitecore box. 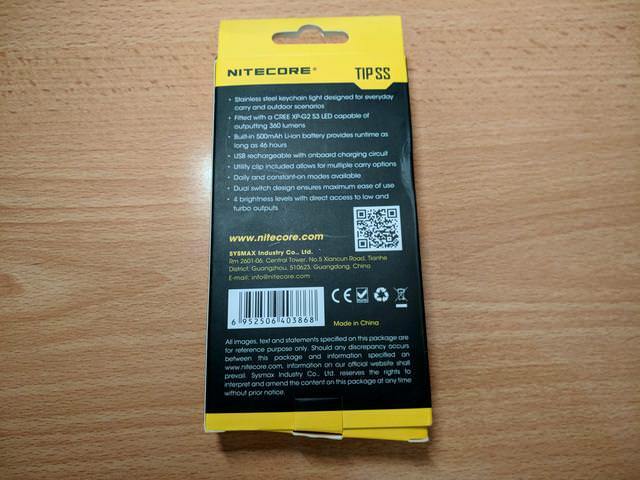 The side of the box gives the user a sneak peak on the TIP's capabilities. 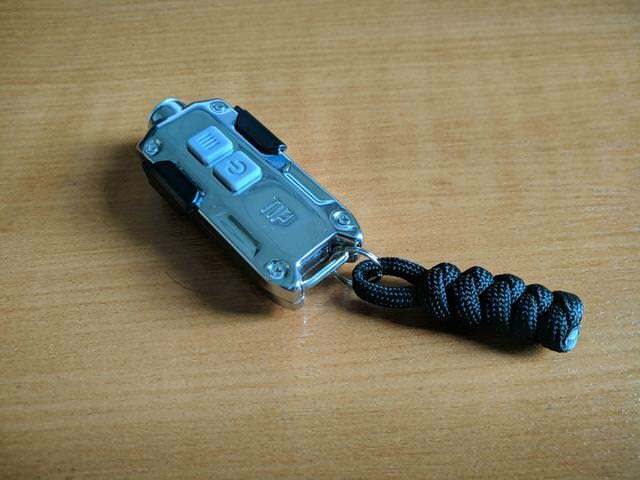 As stated, the light pushes 360 Lumens and has 74m of throw - pretty good for a keychain light. 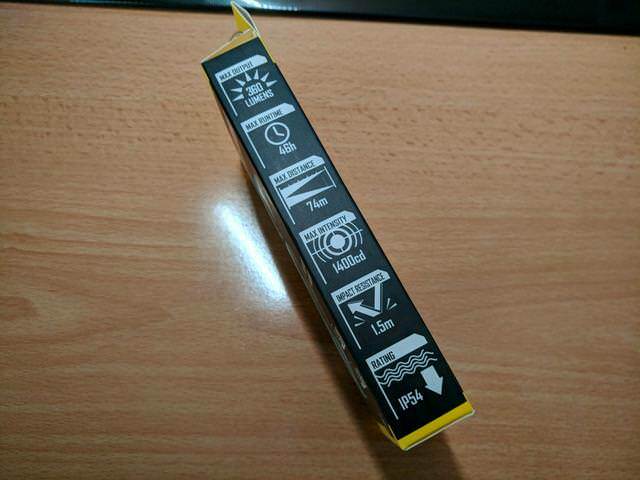 Except from the flashlight, the box contains a multilingual user manual, a warranty card and three different key rings. 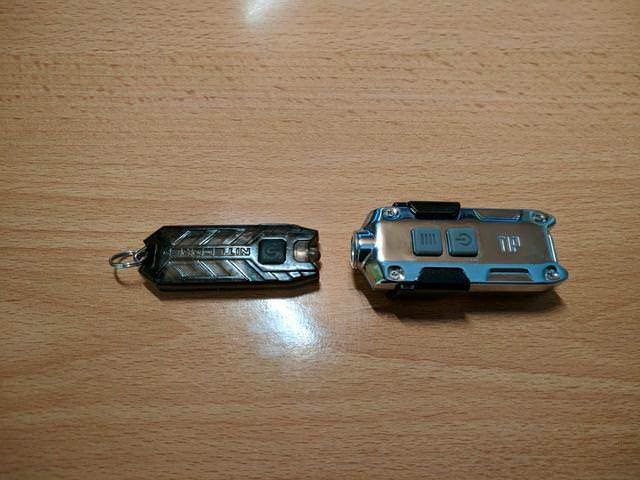 Coming to the flashlight itself, you can notice that it has quite an astonishing look. Dual clicky e-switches are used for controlling the operation of the unit. 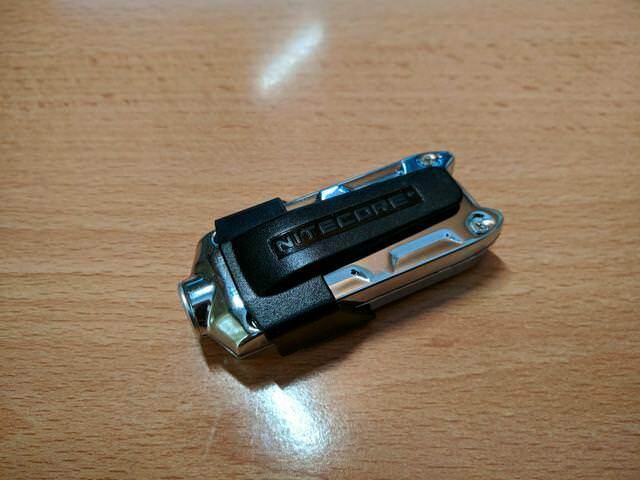 The back side of the TIP has just the 'Nitecore' logo imprinted. The included black pocket clip is a nice addition to the TIP series, as it allows the user to clip the light onto a cap and use it as a go-to headlamp. Here's how the light looks with the clip in place. The fitment of the clip is secure and sturdy. The back side of the light has a metal piece that's used for attaching the key ring. 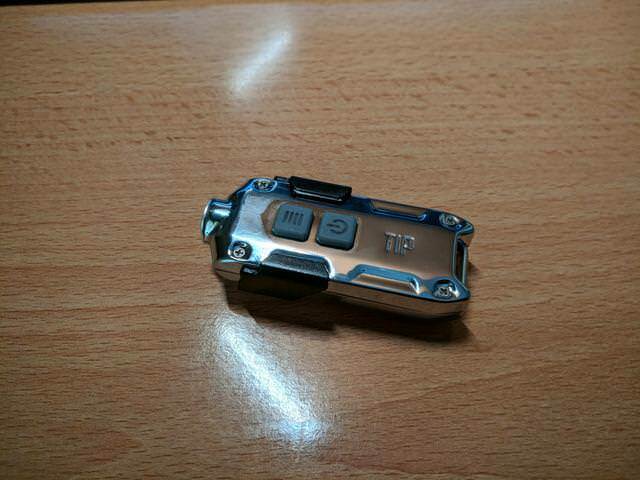 The micro USB charging interface is located in the side of the TIP. Due to the port not being sealed by a rubber insert, the TIP SS is only rated as IP54 which means that it can withstand up to a water splash.  Once plugged in, an indicator LED will display the charging's state. ( Red: Charging, Green: Full). The TIP SS comes with an XP-G2 S3 cool tinted emitter that's mounted into a tiny OP reflector. 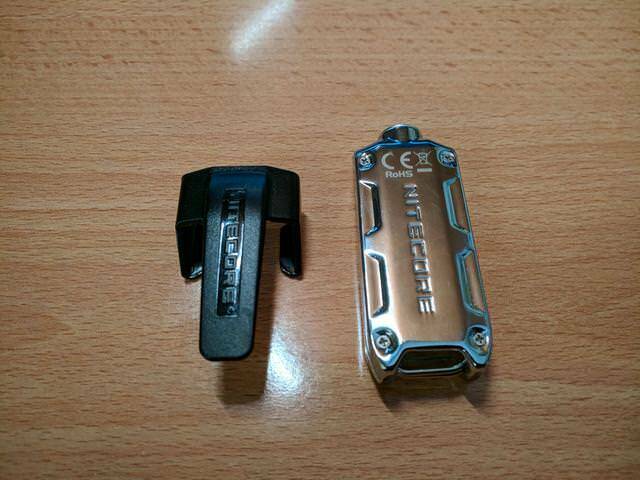 Here's the TIP SS next to its little brother, the Nitecore Tube. As expected, the TIP SS is quite chunkier compared to the Tube. 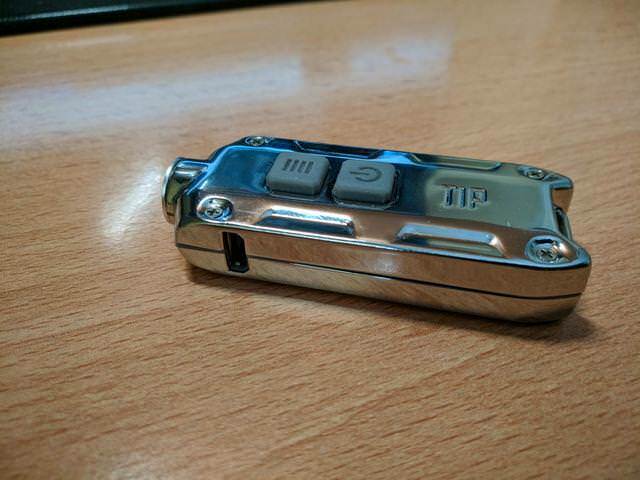 The user interface of the TIP SS is pretty convenient thanks to the dual side by side e-switches. There are two operation modes available to the user: "Daily Mode" and "Constant-on Mode". The only difference between these two modes is that the first one turns the flashlight off after 30 seconds of continuous operation. Power on/off: Single press of the power button. Low: Long press (< 1 sec) of power button while off. Momentary Low: Long press (> 1 sec) of power button while off. Turbo: Long press (< 1sec) of mode switch button while off. Momentary Turbo: Long press of mode switch button while on or Long press (> 1sec) of mode switch button while off. Turbo will step down after 30 seconds of continuous usage. Overall I am very satisfied by the UI. It supports one click on/off and contains all short of shortcuts and special modes. 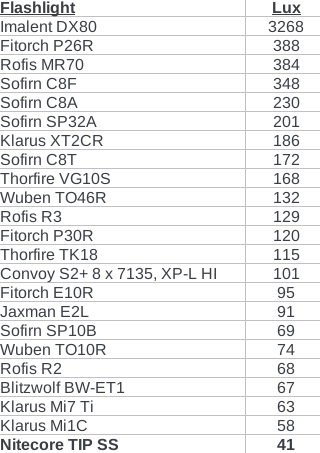 Here's my ceiling bounce measurements. Here's Turbo mode compared to my other lights.  Based on my lux readings, I am confident to say that the TIP SS is indeed pushing around 400 Lumens.  For the last part, here's a few wall beamshots. 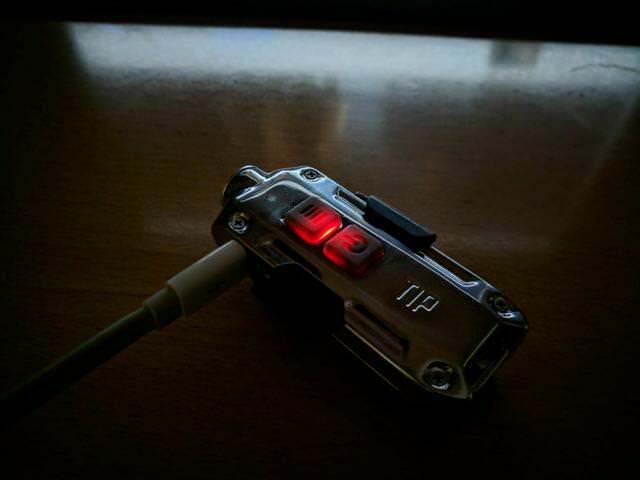 To sum everything up, I found the TIP SS to be a great key chain light. 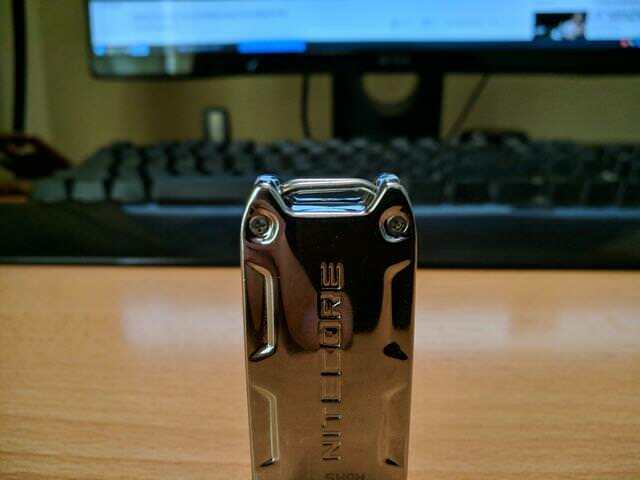 It has proudly taken the place of my previous keychain light which is no other than the Nitecore Tube. Since I don't need any ridiculous amount of lumens when I am in my regural (non overnight) shift, I decided to try the TIP SS as a standalone light. Attached a DIY paracord lanyard to it and gave it a go.  I must say that I really enjoyed using it as my main light. 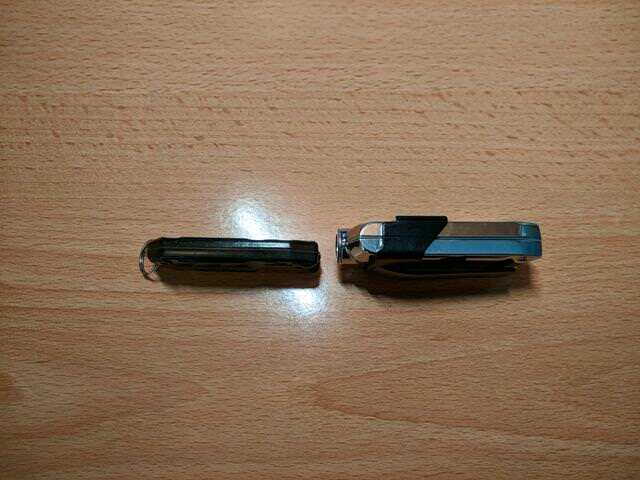 It's quite tiny for an EDC and the reverse mounted pocket clip came in handy very often (used it as a cap light). The output is more than OK for my regular daily tasks (unjamming printers, looking at computer cases etc).